In honor of April’s birthstone — diamond — we offer you a sneak peek at the 74.79-carat pear-shaped centerpiece of Sotheby’s Magnificent Jewels sale that will take place in New York on April 17. Called “the most important white diamond ever to appear at auction in the Americas,” the fabulous jewel is expected to fetch between $9 million and $12 million. Of the 401 lots to be auctioned at Sotheby’s in April, this potentially internally flawless, D-color diamond has gotten the most attention. Sotheby’s claims the gem is one of only a few pear-shaped, 50-plus-carat diamonds of the best color grade to be auctioned in decades. 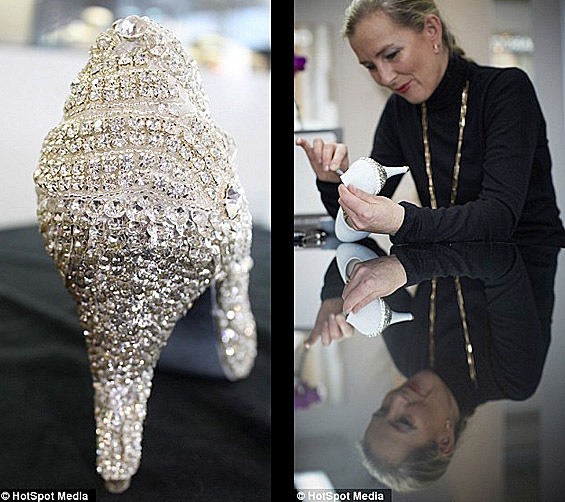 The present owner — a private collector — acquired the 74.79-carat diamond for $4.3 million in 2001. That’s approximately $57,000 per carat. For the upcoming sale, the auction house has the diamond estimated conservatively at $120,000 per carat, according to Lisa Hubbard, chairman of North and South America, Sotheby’s International jewelry division. “This truly exceptional stone exemplifies the strength of the white diamond market over the last decade,” she said. Top lots from the auction will be on display at the Hong Kong Convention & Exhibition Center from April 3 to 7, before returning to The Big Apple for the sale. 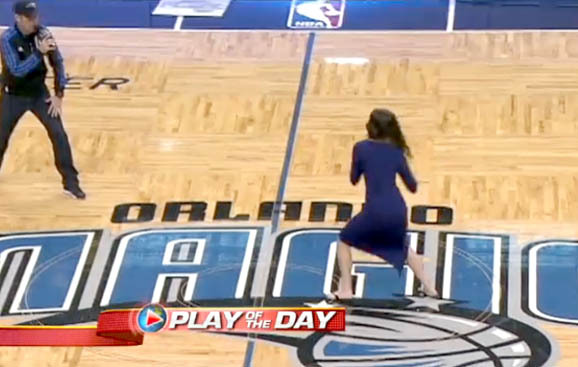 So it’s halftime at the Amway Center in Orlando, where the Magic is hosting the Miami Heat and beautiful basketball fan Elena believes she’s been selected at random from the sellout crowd to attempt a $20,000 half-court shot. Sporting a giant smile, Elena is eating up the moment as she dribbles a few times, takes a running start (despite wearing a dress) and launches her shot at the basket. Sadly, it drops short of its mark, but Elena is undaunted. She continues to smile and wave at the crowd. But wait, Elena’s 15 minutes of fame is going to last a bit longer. The announcer tells Elena she’s won a consolation prize. When she turns around, she sees her boyfriend, Eric, on the far side of the court on one knee with a ring in hand. Overcome with emotion, Elena covers her face and walks slowly toward Eric. The teary-eyed Elena accepts his proposal. The couple embraces and the crowd goes crazy as the "Wedding March" plays on the PA system. It’s hard to fathom, but Elena was the only one of 18,846 people in the arena who wasn’t in on the ruse. Eric had contacted the Orlando Magic management with his plan to deliver his epic proposal to Elena. The organization told Eric that they loved the idea. All he had to do was get Elena to the arena. While Elena was attempting her shot, the Orlando Magic mascot, Stuff, held a sign telling the fans that what they were watching was not a contest, but a surprise marriage proposal. The sign also encouraged the crowd to keep the secret. “SSHHHH,” read the sign. The magical moment was shown live on the arena’s giant video scoreboard. "It was just complete shock," Elena said on ABC’s “Good Morning America,” where the couple was invited to recount their special moment. "It was probably the most exciting thing that's ever happened to me in my life, so far." 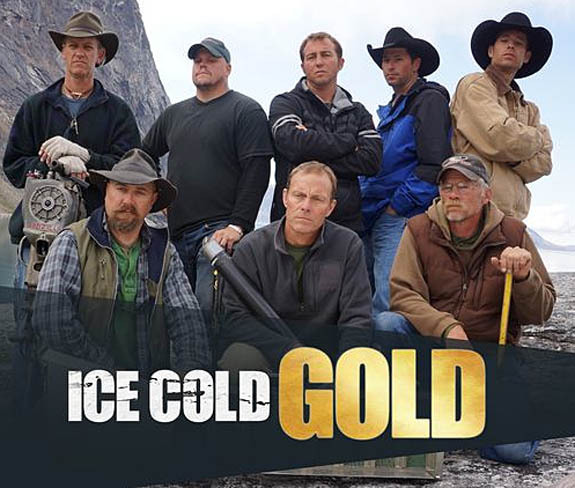 Animal Planet's brand new series, “Ice Cold Gold,” spotlights a spirited team of miners who are among the first Americans to prospect for precious metals and gems in parts of Greenland where humans never have set foot before. Beginning April 21, at 10 p.m. (ET/PT), the six-part series follows eight men who leave behind their families, friends and homeland to strike it rich against all odds while struggling to survive against the harshest of conditions. Under the glacial ice sheets of Greenland sits an immeasurable amount of mineral wealth, including gold, silver, platinum, sapphire, rubies and other precious gemstones. Over the past decade, global warming has awakened Greenland from its mysterious, cold isolation. Once completely inaccessible to speculators, the treasures are now within reach as glacial ice has receded, revealing mineral-rich rock that had been undisturbed for more than 400,000 years. The prospectors have only two months to explore this new mining frontier before winter returns and the ice cap thickens. 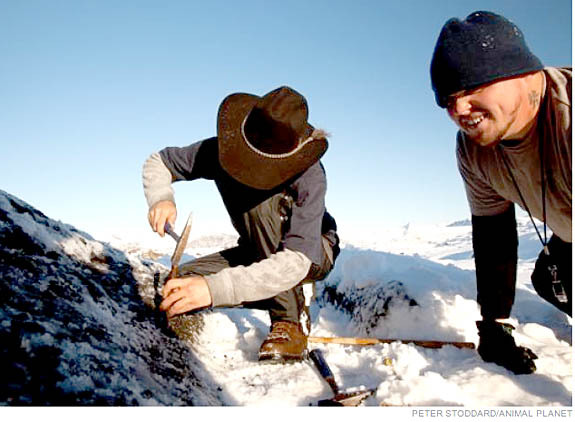 Because of Greenland’s strict environmental regulations, miners are forced to use basic tools, such as shovels, chisels and pans, to do their prospecting. What results is a dramatic battle between man and nature, where daily landslides can suddenly rain boulders the size of cars and snowstorms can blow in with 70 mph winds at a moment’s notice. The new show was filmed last summer in the capital city of Nuuk, as well as in a remote area of fjords known as Storø. The producers believe that the Storø location was so far off the beaten path that no human had even been there before. For centuries, India's most prized diamonds have been known as the "diamonds of Golconda," and some of the most famous stones from the ancient Golconda mine include the Hope Diamond and the Koh-i-Noor Diamond. 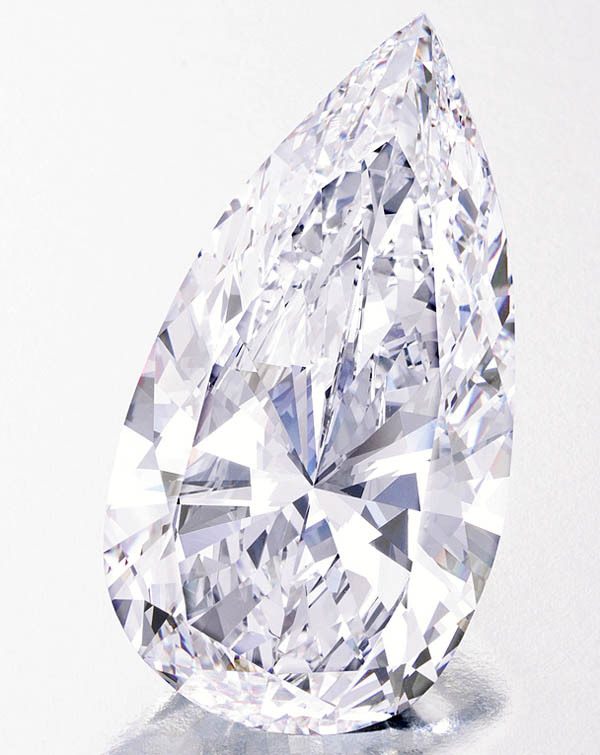 On April 16, another famous Golconda diamond — the extraordinary “Princie” — will rock the auction world when it goes on sale at Christie’s New York. The striking 34.65-carat cushion-cut gem is the largest fancy intense pink diamond ever to be offered for sale at auction. It's expected to fetch up to $40 million. The Magnificent Jewels auction will feature nearly 300 lots, including top-quality colored and colorless diamonds, rare gemstones, natural pearls and a selection of signed vintage jewelry, but the true headliner of the show is The Princie Diamond. The rare pink diamond was first recorded nearly 300 years ago in the holdings of the Royal family of Hyderabad, rulers of one of the wealthiest provinces of the Mughal Empire. It is widely believed that the largest and most beautiful stones discovered in Golconda were reserved for kings and rulers, as they represented the highest power — a power that magically transferred to the owner. The Princie Diamond was first seen at auction in 1960, when the London branch of Van Cleef & Arpels scooped it up for a mere £46,000 ($69,000). That same year, Pierre Arpels christened the diamond “Princie” in honor of the 14-year-old Prince of Baroda, who was attending a Paris party with his mother, Maharani Sita Devi. 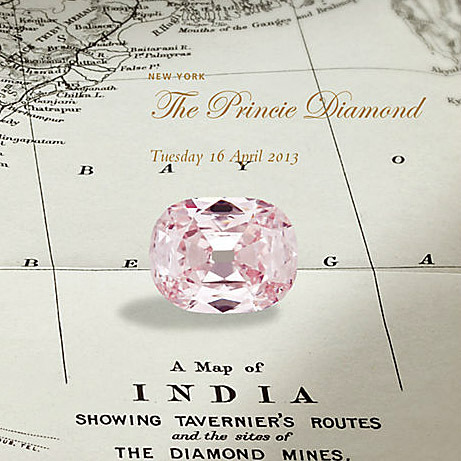 “One of the largest and finest pink diamonds in the world, The Princie Diamond carries a fabulous provenance. 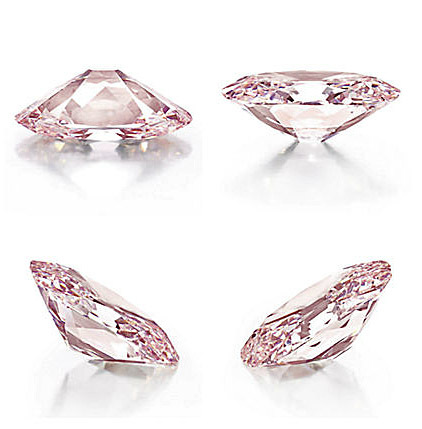 The rich history, combined with its rare pink hue, conveys a special charm, which will speak to all collectors in the world seeking the best of the best in gemstones,” said Francois Curiel, chairman of Christie’s jewelry department. Welcome to Music Friday when we bring you awesome tunes with jewelry, gemstones or precious metals in the lyrics or title. Today's featured song is "Copacabana," the timeless 1978 hit by Barry Manilow. Set in the late 1940s, the song refers to the Copacabana nightclub in New York City, which was the "hottest spot north of Havana." In the song, Rico — who wears a diamond — battles with Tony, the bartender, over the affection of Lola, the showgirl. Tony tries to protect Lola from Rico, but during the fight a single gunshot rings out and it's not clear who the victim is — until the song's final verse set 30 years later. The club is now a disco, Lola has grown old, and we learn that she has never recovered from the loss of her love, Tony. 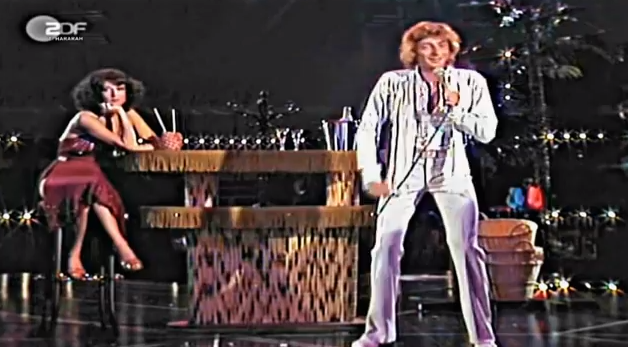 "Copacabana" earned the Brooklyn-born Manilow his first and only Grammy Award for Pop Male Vocalist in 1979, and the song also became his first gold single. Since its release in 1978, the catchy tune has been featured in more than a dozen films and covered by at least seven artists, including Amanda Lear and Kylie Minogue. Manilow's career has spanned five decades. Between 1974 and 1983, he earned three No. 1 singles and 25 that reached the top 40. In 1978, he had five albums on the best-selling charts simultaneously. We know you'll be singing along when you watch the video of Manilow performing "Copacabana," so we have provided the lyrics below. The video appears at the end of the post. Written by Jack Feldman, Barry Manilow and Bruce Sussman. Performed by Manilow. But just who shot who? Now she's lost her mind! 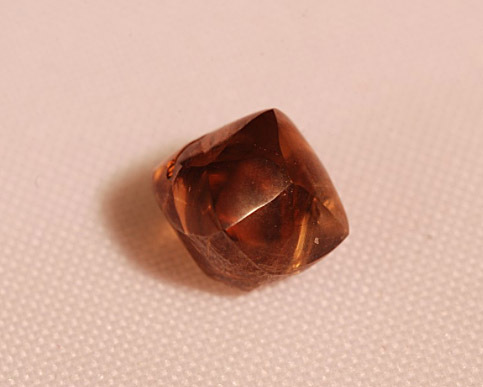 A recreational prospector celebrating her 30th birthday at Crater of Diamonds State Park in Arkansas scooped up one of the biggest discoveries of the year, so far — a 2.10-carat iced-tea brown diamond. 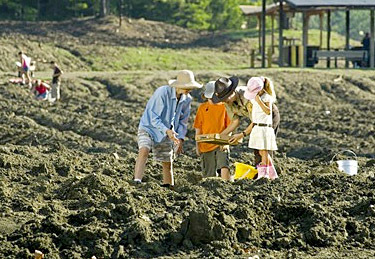 The park is the only diamond-producing site in the world where the public can mine for diamonds and keep what they find. 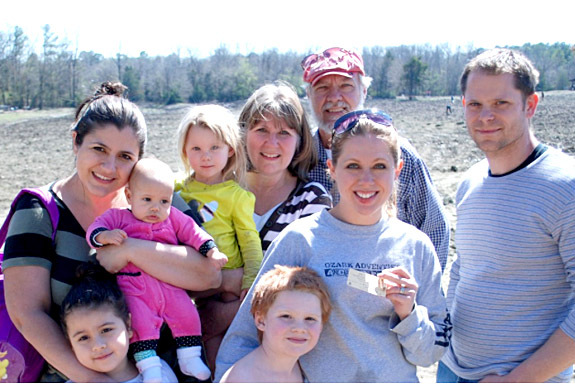 Park officials reported that Andrea Murphy of Gentry, Ark., was prospecting for about two hours on Friday with eight family members when she spied the glistening stone and plucked it right off the ground. The search area at the park is a 37 1/2-acre plowed field, which is actually the eroded surface of an ancient volcanic crater. Jenks explained that the conditions at the park on Friday were perfect for a diamond to be found on the surface. “The park received a number of washing rainstorms in March, and then yesterday was a beautiful, sunny day. A good, hard rain will wash dirt away that may be covering the diamonds. So, when diamonds are on the surface of the field, they sparkle, and can be seen easily,” she said. In the early years of the mine, between 1907 and 1932, the equipment that sifted the soil used screens with mesh larger than 1/16 inch. Due to this large dimension, thousands of smaller diamonds were allowed to pass through. 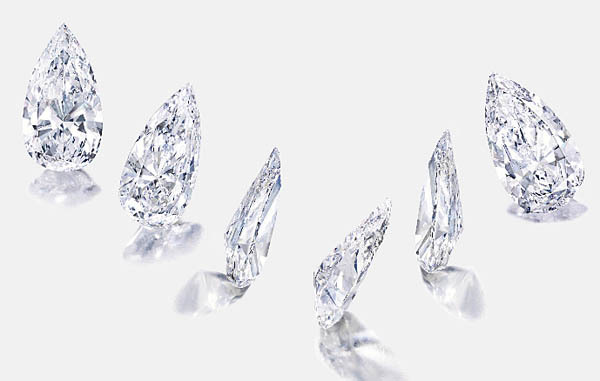 In recent decades, these smaller diamonds have tantalized recreational diamond diggers. Since 1972, more than three million park visitors have tried their luck. Over that same time, the field has yielded more than 30,000 diamonds, and 900 of those weighed more than 1 carat. The largest diamond ever discovered in the United States was unearthed here in 1924 during an early mining operation. Named the Uncle Sam, this white diamond with a pink cast weighed 40.23 carats. 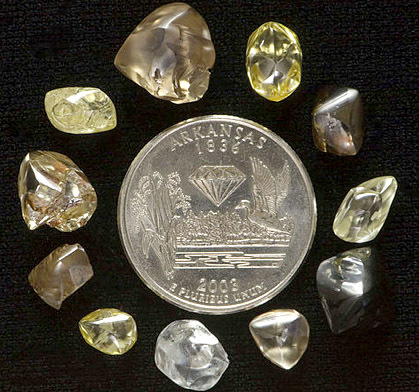 Other large notable finds from the Crater include the Star of Murfreesboro (34.25 carats) and the Star of Arkansas (15.33 carats). The park staff provides free identification and registration of diamonds. Park interpretive programs and exhibits explain the site’s geology and history, and offer tips on recognizing diamonds in the rough. Cost of admission is just $7 ($4 for children). The three most common diamond colors found at the Crater of Diamonds State Park near Murfreesboro are white, brown and yellow. Other gems and minerals found in the park's search area include amethyst, garnet, peridot, jasper, agate, calcite, barite and quartz. 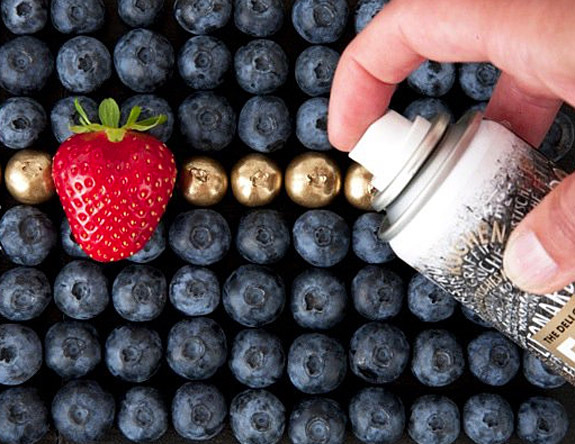 In what seems to be the perfect union between fine jewelry and fabulous food, a German company has invented an edible spray paint that gives delicacies the appearance of being dipped in precious metal. Imagine serving a family feast of gilded goodies that are both decadent and delicious. Called “Ess Lack” in German and “Food Finish” in English, the new product is safe to consume, has no taste and is simple to apply. How about turning those blueberries into gold berries? 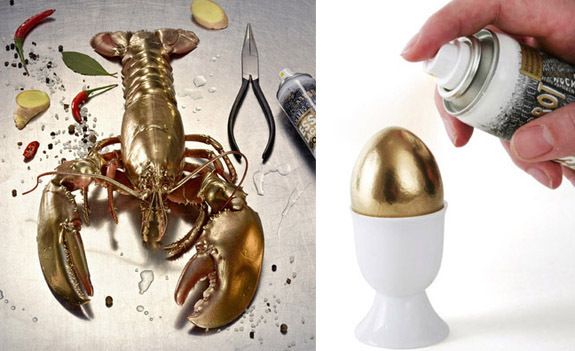 Or that red lobster into a gilded crustacean? Or, perhaps, a salty pretzel into a sensational silver snack? It’s simple with Food Finish. "Just spray it on whatever you wish to decorate, give it some time to dry, and there you go," said Arne Taegen of The Deli Garage, the company behind Food Finish. The product is available in four colors: gold, silver, red and blue. 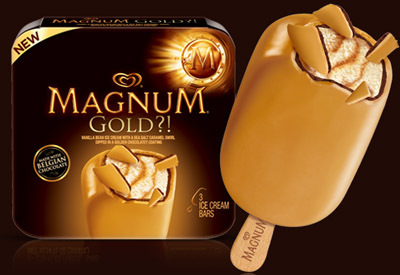 The gold metallic variety is the biggest seller, according to Taegen. As with real paint, it's best to apply several thin layers for a perfect finish, according to the maker. Taegen said the product was inspired by the centuries-old fable about the goose who laid the golden eggs. The Deli Garage developed Food Finish with the assistance of a small German food manufacturer that provides high-quality food coloring to upmarket pastry and cake shops. For now, Food Finish is only available in Europe. The U.S. has restrictions regarding the import of canned products that are packaged under pressure. "Our manufacturer is working on the needed documents to be able to ship it overseas,” Taegen told NPR. In August of 2012, we learned that Nickelback frontman Chad Kroeger proposed to Lavigne with a vintage-style platinum engagement ring, featuring a 10-carat pear-shaped center stone accented on each side with specially cut half-moon-shaped diamonds totaling an additional 4 carats. At the time, jewelry expert Michael O'Connor estimated the ring’s value at $350,000. Sadly, the photos released in August were taken at a distance and failed to reveal the ring’s finer details. All that changed on Tuesday, when Lavigne and her fiancé appeared on Ryan Seacrest’s radio show to talk about Lavigne’s new single, the couple’s wedding plans, Kroeger’s romantic proposal and the fabulous ring that still has the bride-to-be swooning. Lavigne, whose new single is titled "Here's to Never Growing Up," said that her relationship with Kroeger started as a simple song-writing collaboration, but quickly turned into something much bigger. "We met in the studio, wrote a bunch of songs together, became really good friends, and now we have a wedding coming up soon," she told Seacrest. The couple had been dating for only a month when Kroeger popped the question in early August. 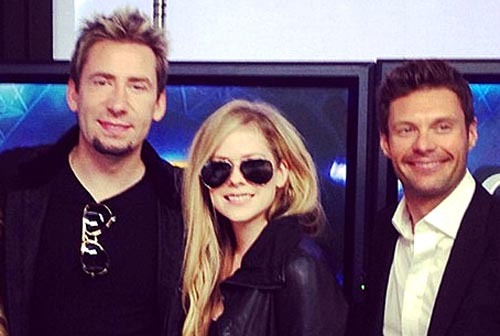 Lavigne revealed for the first time how Kroeger delivered his sweet and romantic proposal — at a recording studio. According Lavigne, she had been making a scrapbook filled with cute stickers and Polaroid photos recounting her time in the studio. On one special day, she walked into the facility and caught Kroeger adding a photo to the book. The couple did not announce a wedding date, but did confirm that plans are in the works. Welcome to Music Friday when we bring you superb songs with jewelry, gemstones or precious metals in the title or the lyrics. Today we have Beyonce's 2008 blockbuster hit, "Single Ladies," an exuberant anthem of female empowerment. The song is a social commentary on men's unwillingness to commit and was reportedly inspired by Beyonce's secret marriage to Jay-Z. In the song, Beyonce is in a club celebrating the end of a poor relationship. Her former beau is at the same club and looking to rekindle the romance. But Beyonce has already moved on. She tells him in the popular refrain, "If you liked it then you should have put a ring on it." Peaking at the top spot of the Billboard Hot 100, "Single Ladies" is one of the best-selling singles of all time with more than 7.6 million digital downloads worldwide. In 2009, the song’s music video was nominated for nine MTV Video Music Awards, breaking the record for most nominations for a single music video. It won in three categories, including Video of the Year. Written by Terius Nash, Thaddis Harrell and Beyonce Knowles. Performed by Beyonce Knowles. Extravagant jewel-encrusted smartphones are nothing new, but Stuart Hughes, a longtime designer of aftermarket electronics, has bested all other offerings with his exclusive $15 million iPhone 5, believed to be the most expensive smartphone ever made. The solid gold phone features a rare 26-carat deep-cut black diamond home button said to be worth $14.5 million. But the bling doesn’t end there. 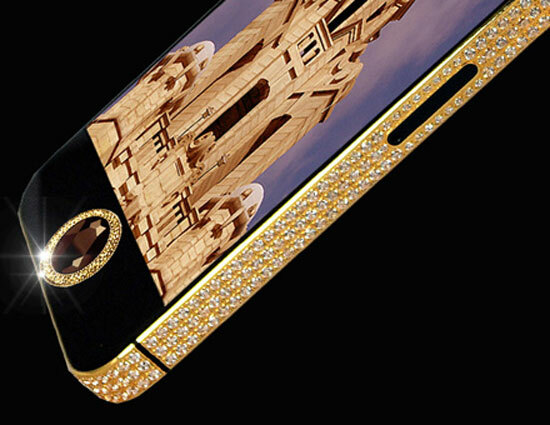 Six hundred white, flawless diamonds decorate the phone’s edges and 53 diamonds illuminate the Apple logo on the back. Hughes is not a newcomer to gold Apple products. 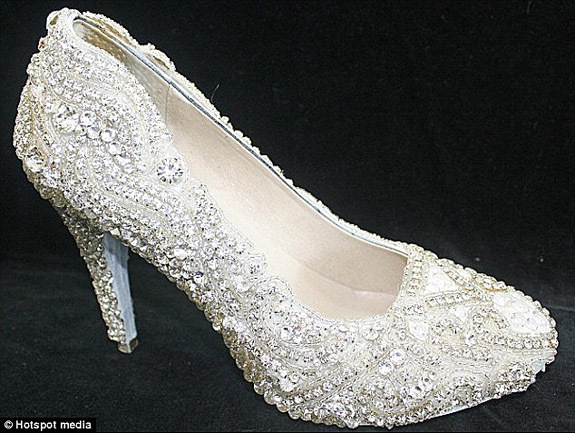 According to CNN, Hughes crafted a $9 million iPhone 4S in 2011 boasting 500 diamonds. But with this one, “it’s all about the rarity and value of the deep-cut, black diamond,” he told ABC News. The phone was custom-made for a Hong Kong businessman, and took nine weeks to complete. The client had already owned the black diamond and decided to have it set into the iPhone after buying other items from Hughes. 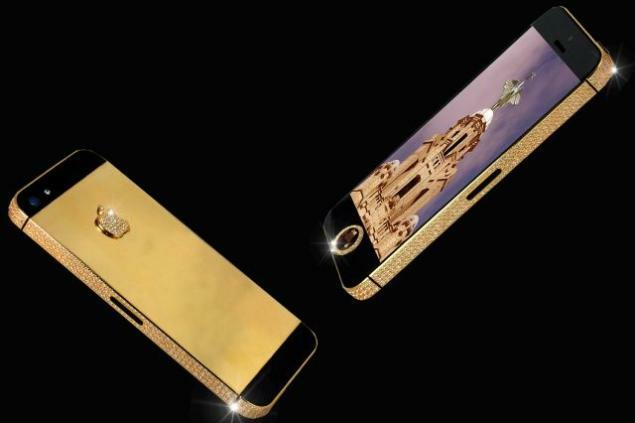 For those who find the $15 million price tag a bit steep, Hughes also offers a 24-karat gold iPhone 5 that starts at just over $4,000. A rose-gold version is offered for $5,300. With these options, we’re guessing you’ll never again have to worry about colleagues having the same smartphone as you. 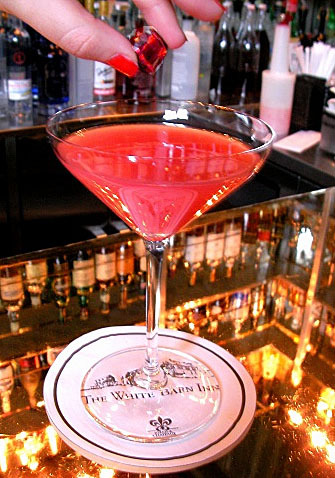 In an act of marketing genius, The White Barn Inn in Kennebunk, Maine, will be offering a very special $40,000 Ruby Rose cocktail at its luxury restaurant to mark the Inn's 40th anniversary. Immersed in a delectable ruby-red concoction made with Hanger One Vodka, St. Germain Elderflower, fresh-squeezed grapefruit juice, pomegranate and a spoonful of rosewater is a genuine 4-carat ruby. Ruby, of course, is the traditional 40th-anniversary gemstone. The Inn, which offers lavish service, luxury accommodations and ultra-fine dining to wealthy businessmen, celebrities and politicians, devised the ruby-themed promotion to raise awareness of its special anniversary. The New England press was quick to pounce on the story, and other news outlets followed suit. Maitre d'hotel Matthew Swinford told the Portland Press Herald that he expects to sell at least two $40,000 cocktails during the promotion. 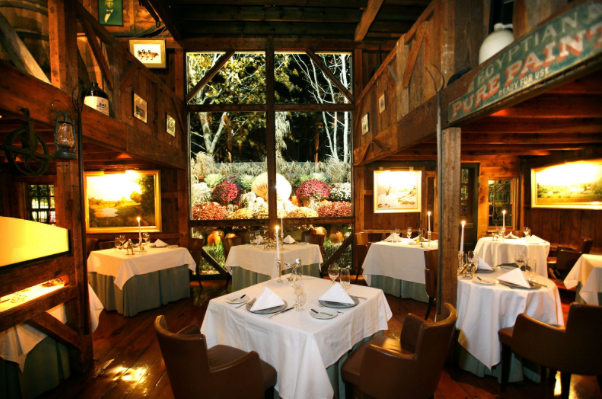 For Inn guests with "particular tastes," Swinford said, "the dollar amount is not the issue. It's the experience." Colin Joliat, a columnist for the website Guyism.com, had a different take on the clever promotion. Joliat wrote: "I’ve had that cocktail, minus the rosewater and ruby, a few different times, and it’s damn good... Buying one with a ruby in it, though, is stupid. Do you know where I buy my precious gems? Jewelers. That’s right. 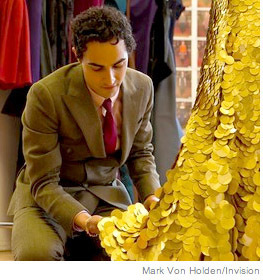 I buy very expensive objects from people who specialize in selling very expensive objects." Hotel guests who want to experience the Ruby Rose cocktail without the five-figure expense can sip the gem-less version for $18. 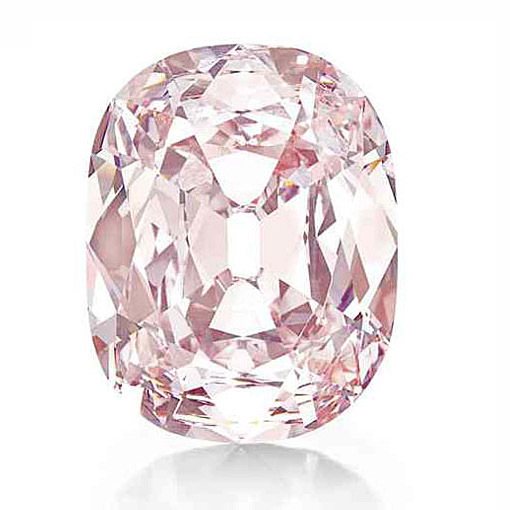 Despite speculation that it might sell for a world-record price, the fabulous fancy intense pink "Princie Diamond" came up a bit short at Christie's auction on Tuesday with the gavel slamming down at $39.3 million — or $1.1 million per carat. The 34.65-carat cushion-cut gemstone was purchased via phone by an anonymous collector. Maintaining its status as the world's most expensive gemstone is another fancy intense pink diamond known as "The Graff Pink." A classic emerald-cut gem with gently rounded corners, the 24.78-carat diamond set the record at a Sotheby's auction in November 2010. 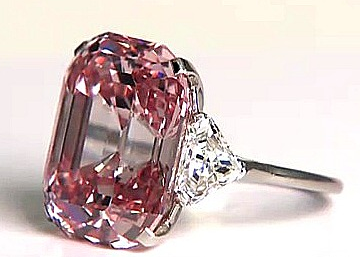 British billionaire Laurence Graff bought The Graff Pink for a staggering $46.1 million — or $1.85 million per carat. Some diamond experts believed The Princie Diamond had a chance to overtake The Graff Pink because of its purity, rarity and provenance. The Princie Diamond was a product of India's legendary Golconda mine and was first recorded nearly 300 years ago in the holdings of the Royal family of Hyderabad, rulers of one of the wealthiest provinces of the Mughal Empire. India's most prized diamonds have been known as the "diamonds of Golconda," and some of the most famous stones from the ancient Golconda mine include the Hope Diamond and the Koh-i-Noor Diamond. In 1960, the London branch of the jeweler Van Cleef & Arpels purchased the diamond at auction. Its name was bestowed at a party at the firm's Paris store. It was called Princie in honor of the 14-year-old prince of Baroda, who attended the party with his mother, Maharani Sita Devi. Even though it failed to overtake The Graff Pink, the $39.3 million earned by The Princie Diamond represents a new record for any jewel sold at Christie’s. 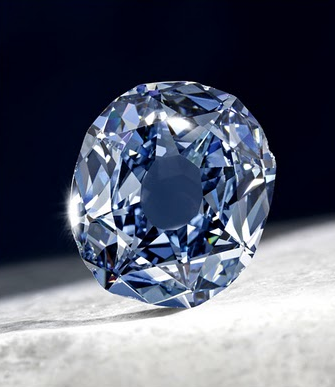 The previous house record was set in December of 2008 with the $24.3 million sale of the 31-carat fancy deep-blue Wittelsbach Diamond. Graff provided the winning bid at that auction, as well. Welcome to Music Friday when we often bring you nostalgic songs with jewelry, gemstones or precious metals in the lyrics or title. 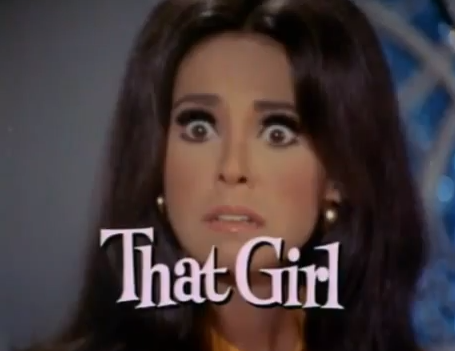 Today, we present a popular theme song from a groundbreaking television series of the late 1960s and early 1970s — "That Girl." In the show, Marlo Thomas plays Ann Marie, a sassy, smart aspiring actress from upstate New York who moves to New York City to seek fame and fortune. The catchy theme song paints a picture of the lead character, which embodies "everything that every girl should be!" The first line of the song is "Diamonds, daisies, snowflakes, That Girl." The Ron Hicklin Singers are credited with performing the "That Girl" theme. These studio singers from Los Angeles famously provided the real background vocals for many of "The Partridge Family" recordings. They are also the voices behind the theme songs of many popular TV shows, including "Batman," "Flipper," "Happy Days" and "Laverne and Shirley." "That Girl" is often cited as the first sitcom in which the main character was a young, modern woman focused on her own dreams and aspirations. Thomas' character challenged conventional social mores and gave the country an early glimpse at the changing roles of American women. Theme written by Earle Hagen and Sam Denoff. Performed by The Ron Hicklin Singers. She's everything that every girl should be! 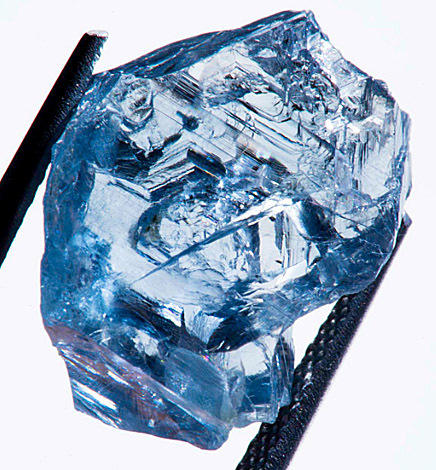 An extraordinarily rare 25.5-carat blue diamond worth about $10 million is the latest treasure to be harvested from South Africa's legendary Cullinan Diamond Mine, which has been producing world-class gemstones for the past 111 years. The most famous gem to emerge from the Cullinan mine is the largest gem-quality rough diamond ever found — the "Cullinan Diamond" at 3,106.75 carats. Other magnificent Cullinan-sourced gems include the 545-carat "Golden Jubilee" and the 530-carat "Great Star of Africa." Over its history, the Cullinan mine has produced more than 750 diamonds weighing more than 100 carats and is considered to be the most important source of blue diamonds in the world. 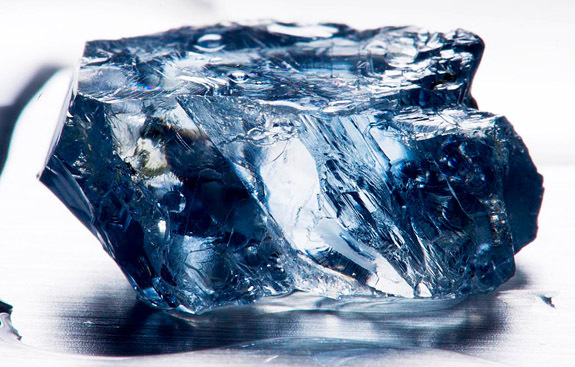 According to a spokesman for mine owner Petra Diamonds Ltd., the 25.5-carat blue rough diamond is considered to be a “high-quality gem diamond of top color.” The company believes that once the rough diamond is cut, it could yield close to $10 million. 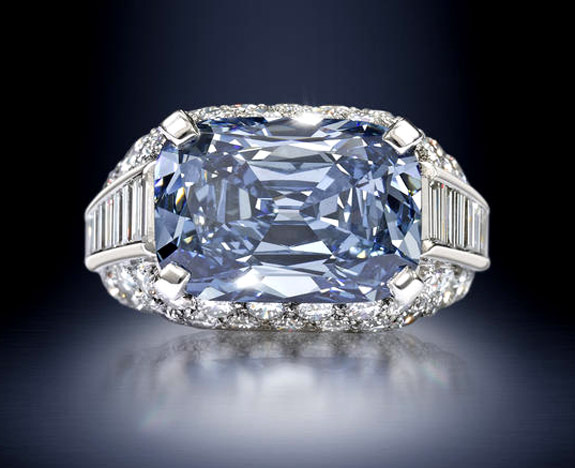 That estimate is based on the history of a previously discovered fancy vivid blue diamond that weighed 26.6 carats in its rough state and was cut into an internally flawless 7.03 carat polished stone. That diamond, also sourced from the Cullinan mine, fetched $9.5 million at a Sotheby's auction in 2009 and was subsequently named the "Star of Josephine." At the time, it scored an auction record for the highest price paid per carat for any gemstone. Colored diamonds are extremely rare, and collectors have been paying top dollar at recent auctions. Just last week, we reported on the sale of the "Princie Diamond," a 34.65-carat pink gem that sold for $39.3 million. 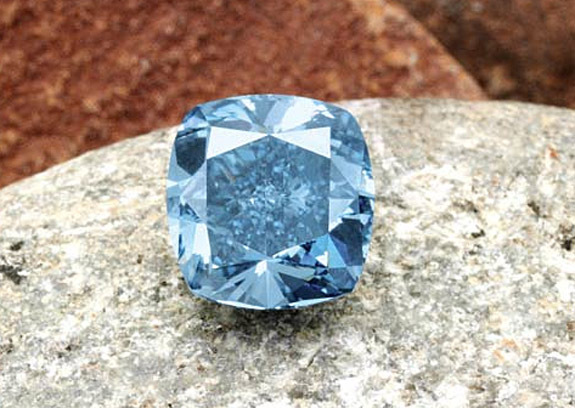 It was the second-highest price ever paid for a gemstone at auction. Former Gilmore Girls star Alexis Bledel is sporting a brand new engagement ring bestowed upon her by Mad Men’s Vincent Kartheiser. The vintage-inspired design features an impressive bezel-set diamond set upon a simple platinum band, but is it a conventional round brilliant or a highly unusual modified octagonal brilliant? When Bledel hit the red carpet last week for the premiere of her new made-for-TV movie, Remember Sunday, the celebrity press finally got a good look at the engagement ring she accepted from Kartheiser about a month ago. Bledel was quick to offer that her beau was the genius behind the ring. 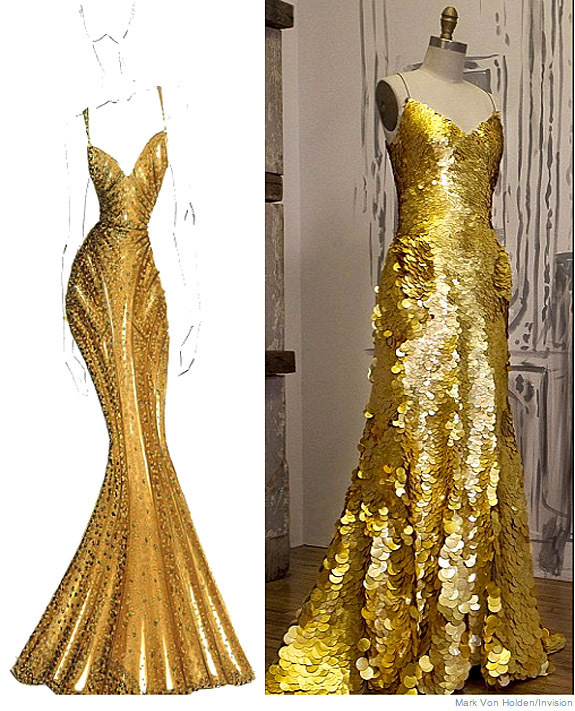 “Vincent picked it out!” she reportedly exclaimed. Instead of being prong set, Bledel’s diamond stunner has a distinctive octagonal-shaped bezel that frames the diamond in elegant platinum. But we believe InStyle.com got it right when its columnist stated it was “an octagonal diamond” set in a band with pavé stones decorating the sides. 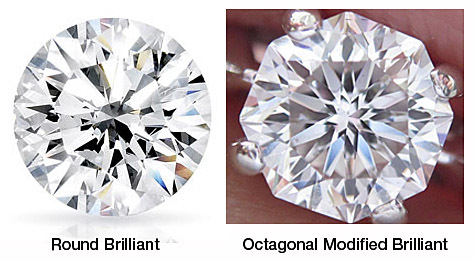 The octagonal shape is formally referred to as a modified octagonal brilliant cut. 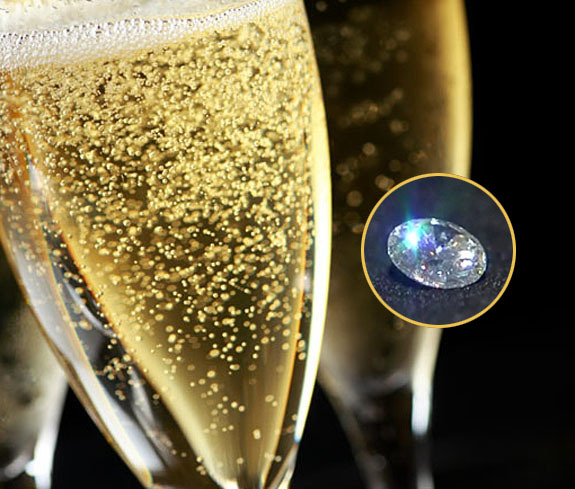 It has faceting similar to a round brilliant diamond, but has eight equal sides. We believe the shape of the stone likely matches the contour of the bezel. Bledel and Kartheiser broke the news of their engagement in March after nearly a year of dating. The 31-year-old actress guest-starred as the mentally unstable mistress of Kartheiser’s character, Pete Campbell, during Season 5 of Mad Men. A recent study of objects lost down the drains in the bathhouses of the Roman Empire reveals that the lavish pools were a rollicking center of social interaction and ladies of the era couldn’t resist wearing their finery in the water. Among the items discovered in the drains were decorative hairpins, beads, brooches, pendants and intaglios (engraved gems). This Roman intaglio dating from A.D. 212 and held in the treasury of the Sainte-Chapelle in Paris is similar to the intaglios found in Roman bath drains. 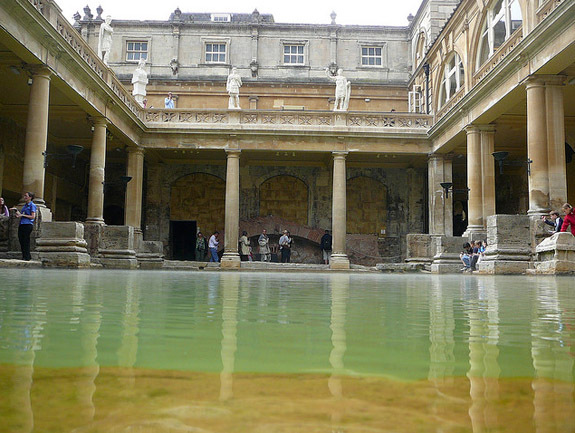 Archaeologist Alissa Whitmore studied objects recovered from 11 public baths in Italy, Portugal, Switzerland, Germany and Britain, all dating from the first to fourth centuries, and concluded that these often-lavish pools were far more than places to get clean. Whitmore surmised that dips into hot or cold bathhouse water could have loosened jewelry adhesives and caused metal settings to expand and contract. 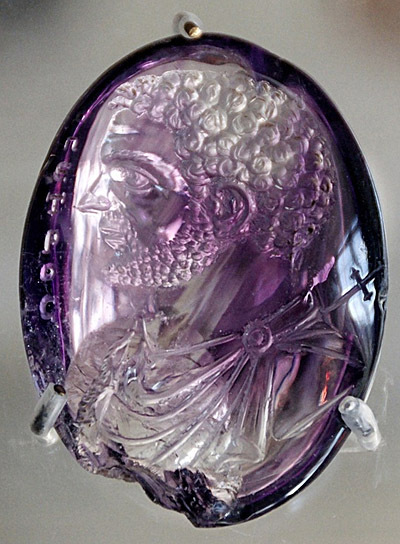 As a result, some high-style Romans emerged from their leisurely baths minus their fine jewelry. There also could have been a more practical reason for the bath bling. “Bathers may have held onto their jewelry in the pools to prevent the valuables from being stolen,” Whitmore said. Vanity items found in the bathhouse drains included perfume vials, nail cleaners, tweezers and flasks for holding oils. Bathers were clearly allowed to eat snacks in the pool as Whitmore found an abundance of plates, cups, mussel shells and animal bones in the drains. Some less-expected finds included teeth and scalpels, which led Whitmore to wonder if dental work and medical procedures were performed in the bathhouses, as well. Welcome to Music Friday when we bring you fantastic tunes with jewelry, gemstones or precious metals in the lyrics or title. Today’s installment is dedicated to the legions of "Glee" fans who enjoyed the clever mashup of “Diamonds Are a Girl’s Best Friend” and “Material Girl” on the March 7 episode, as well as their parents and grandparents who grew up loving the original versions. 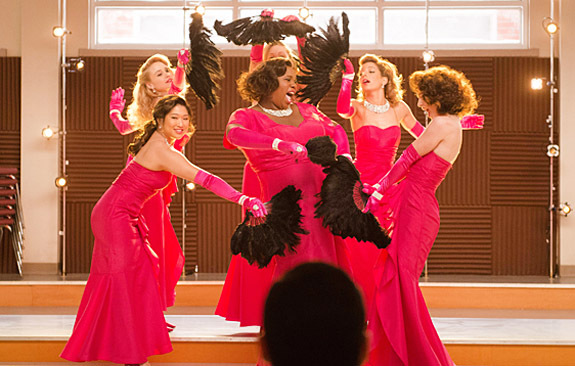 Sung by "Glee" characters Marley and Unique with the New Directions Girls, “Diamonds Are a Girl’s Best Friend” was originally made famous by Marilyn Monroe in 1953’s Gentlemen Prefer Blondes. Cleverly injected into Monroe's song is 1984’s “Material Girl.” Many will remember that Madonna channeled Monroe in a made-for-MTV number that mimicked the set and costumes of the ‘50s starlet and her male dancers. The "Glee" cast performed the song for the mashup competition in the episode called “Girls (and Boys) on Film.” The top-rated Fox show, which features the New Directions glee club at a fictional high school in Ohio, is in its fourth season. In the song, the heroine explains that "A kiss on the hand may be quite continental, but diamonds are a girl's best friend." If you didn’t get a chance to watch the fun mashup last month, we’ve got the video at the end of this post. The lyrics are below if you’d like to sing along. Talk to me, Harry Zilder, tell me all about it! Cause that's when those louses go back to their spouses! 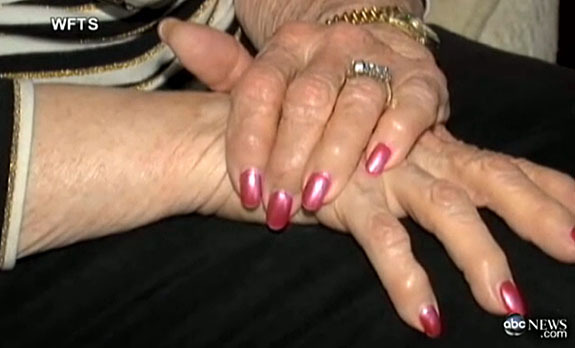 Here’s a gem of a story that’s a little hard to swallow... A Tampa Women’s Club charity event on April 20 turned into an embarrassing nightmare for an 80-year-old attendee who accidentally gulped down the shiny bauble at the bottom of her $20 flute of champagne. 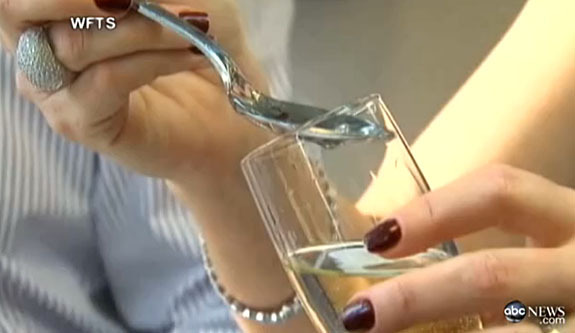 Guessing that she consumed one of the $10 CZs that propagated 399 glasses and not the $5,000 1.03-carat diamond grand prize that was dropped in one, Miriam Tucker remained mum, keeping her faux pas a secret for most of the event. "I thought I'd drink a bit of champagne so I didn't have to stick my finger so far into the glass [to retrieve the stone]," Tucker told the Tampa Bay Times. "We were laughing and talking when I realized I swallowed it." When it came time to identify the event's top prize, Tucker hoped that the diamond winner would be announced and she wouldn’t have to reveal her mistake. But the sponsors couldn’t find the real diamond. The electronic diamond tester registered “negative” for 399 stones. That’s when Tucker realized that she had to come clean. “I thought, ‘Oh, now I’ve got to tell them I swallowed one,’” an embarrassed Tucker told ABC News affiliate WFTS, with her back to the camera. Tucker was taken to a local hospital to determine if the diamond would show up in an X-ray, but it was not visible. By some strange coincidence, Tucker had a routine colonoscopy scheduled for the next day. She told the gastroenterologist her improbable story and what he might encounter. Sure enough, he found the diamond in her large intestine. Sealed in a biohazard bag, the well-traveled round brilliant diamond was taken to a local jeweler to be cleaned, tested and verified. It was then returned to Tucker, who plans to make the diamond part of a family heirloom.